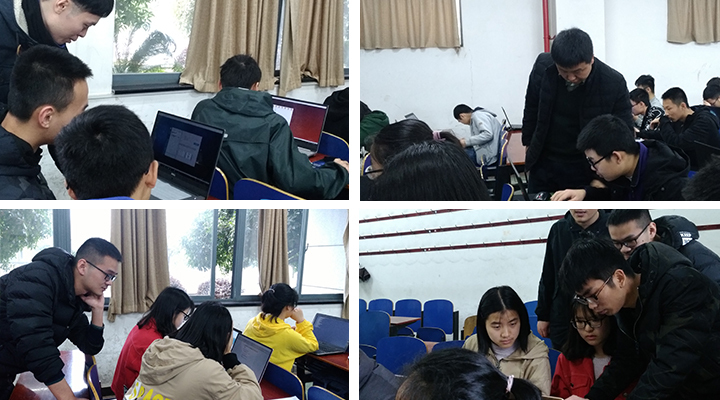 On the morning of March 17, 2019, sponsored by Ubuntu Kylin Community, Sogou, Open Source, Open Source China, LinuxCommune, Tianjin Kylin and other units co-organized the "Youker Finding Bugs" activity in the National University of Defense Technology Held. 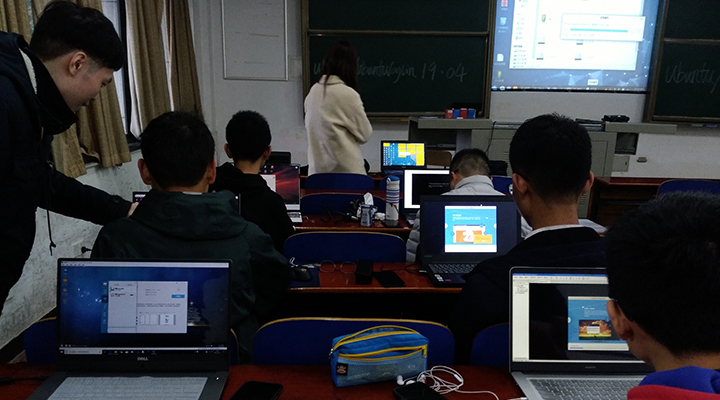 The event is mainly to let the youker feel the open source culture, install and experiencethe Ubuntu/UbuntuKylin 19.04 system that will be released in April, andfind problems during the experience, and then further participate in open source by submitting bugs to the upstream community. 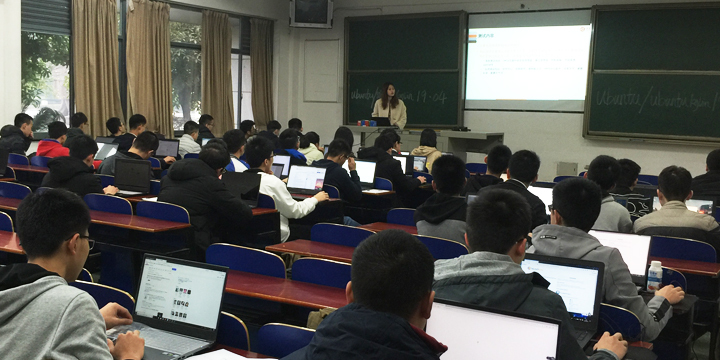 The event is divided into four parts, namely:Ubuntu/UbuntuKylin system introduction --> on-site installation--> system experience & Bug submission --> awards. First of all, Liu Min, from the UbuntuKylin team, gavea brief introduction to the open source culture background, the newfeatures of UbuntuKylin 19.04, and the process and testing methods ofthe event. Next is the system installation. The UbuntuKylin team has already prepared the Ubuntu/UbuntuKylin 19.04 mirror installation disk for the youker, and some problems during the installation, such asdual system installation, how to partition, Grub lost, etc. The membersof the UbuntuKylin team also conducted on-site guidance and assistanceto ensure the smooth installation of the system. After successfully entering the system, Youker first experienced the common functions of the system,and feedbacked their opinions. Then, after some exploration and familiarization, Youker began to test the system-specific modules and applications according to the requirements. In an hour, the UbuntuKylin team received a lot of positive suggestions and helped youker submit the bugs found to the Ubuntu community's code hosting platform, Launchpad. Near the end, the host counted the bugs collected on the Launchpad platform, awarded prizes based on the number and validity of the submitted bugs,and all youkers who participated in the bug submission also received a commemorative T-shirt. A total of 38 bugs were collected in this activity, 15 of which were effective bugs. For details, see：https://bugs.launchpad.net/ubuntukylin/+bugs?orderby=-importance&memo=&start=300&direction=backwards.Thank you for your participation, UbuntuKylin teamwill continue to improve the system and enhance the user experience! Atthe same time, the development of UbuntuKylin 19.04 has reached thesprint stage, and will be officially released on April 18th. You arewelcome to download the experience, and you can submit bugs andsuggestions in the forum. For valuable feedback,We will send a beautifulgift to the youker who sent the feedback to express our gratitude! Previous：Ubuntu Kylin 19.04 Coming soon with Huawei, Aliyun, Chongqing University and 360 Open Source Software Mirror Sites supported! Next：Ubuntu Kylin 14.04.6 LTS version released!